Now pre-selling Trails, open green spaces and energy efficient all brick homes. Come check out our new community conveniently located between Mauldin and Simpsonville. Easy access to I85,385 and shopping. Golf courses is just a few minutes away! 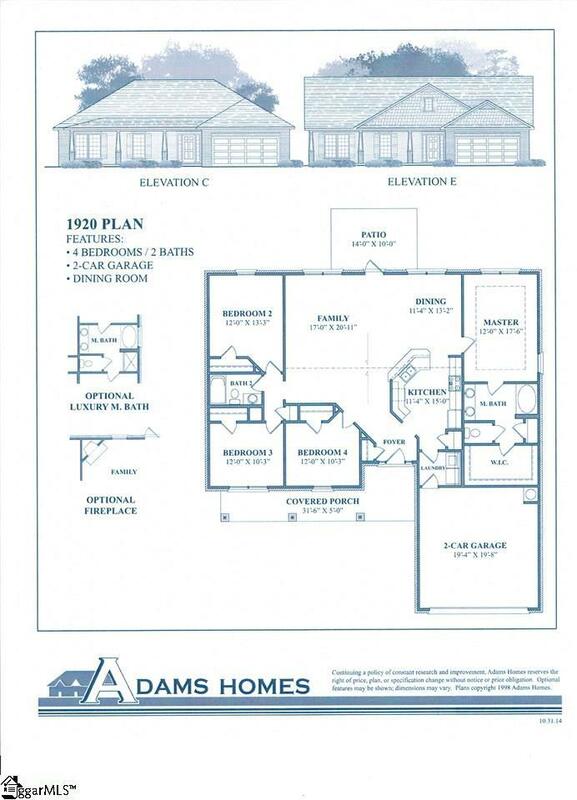 Many new plans available ranging from 1500 sqft to 2000 sqft. The homes in this subdivision are going to be energy efficient with her rating for each home. some included features include Hardwood, Granite, cedar shutters, tankless water heater and much more. Listing provided courtesy of Katherine Keasler of Adams Homes Realty, Inc.